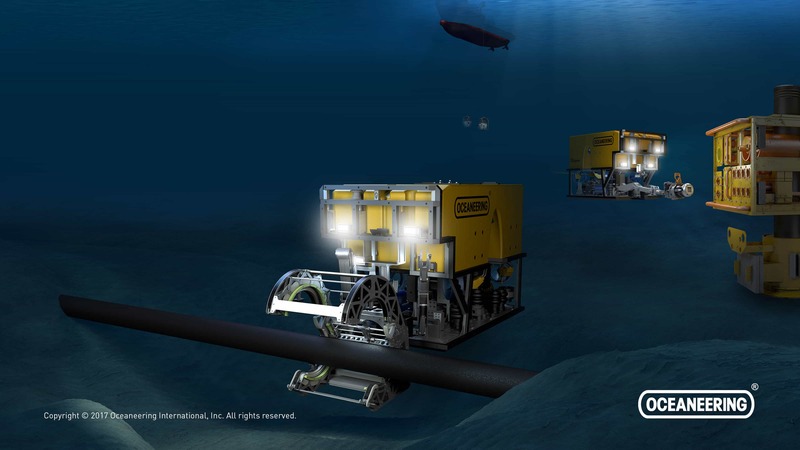 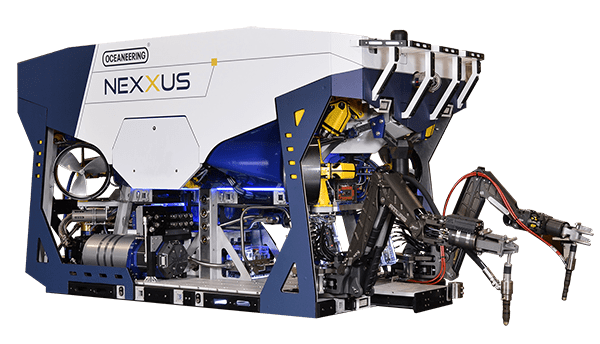 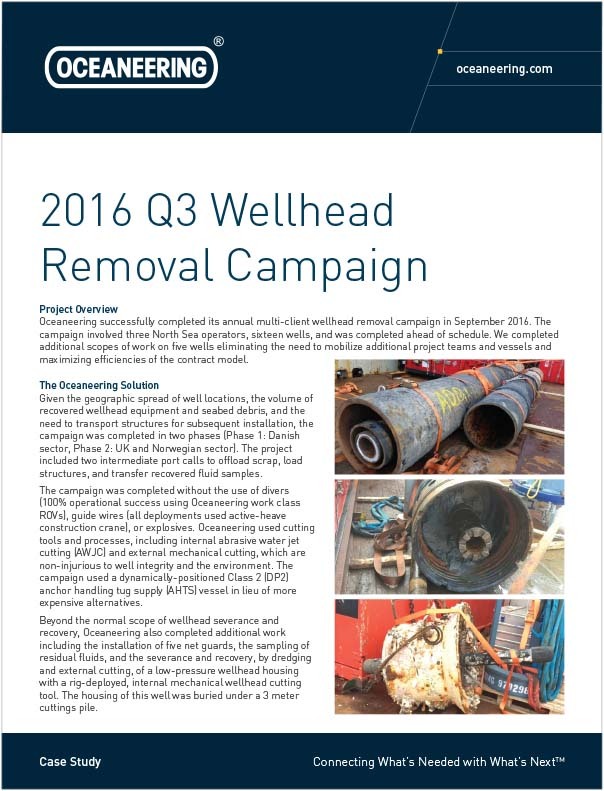 Benefit from our efficient, vessel-based wellhead removal system, which cuts and retrieves casings with safe, reliable, and flexible solutions. 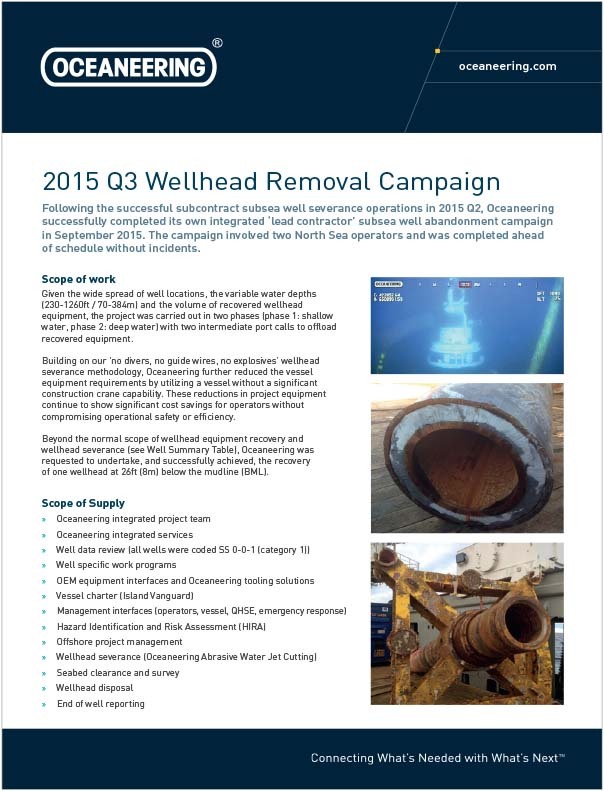 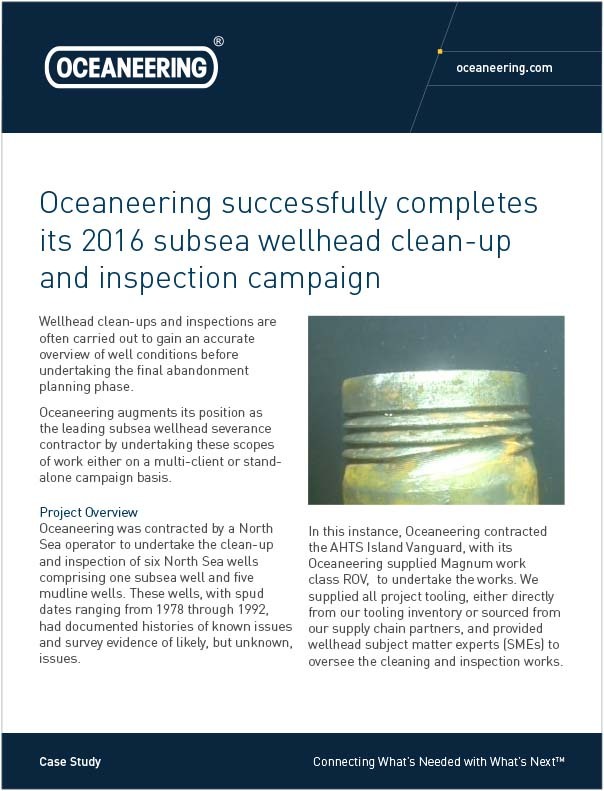 Participation in our Rig Chase vessel-based wellhead removal program offers numerous advantages. 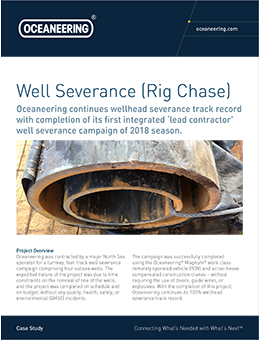 When you participate in our annual multi-client campaign, you benefit from greater efficiency and cost savings in several areas.